Albert Harold Newens (sometimes recorded as Newen) was born in Skirmett, Oxfordshire, in 1897. He was the fourth of six children born to William Newens, a hay-binder, and Alice Jessie Winfield, whose marriage was registered in Wallingford in 1890. A tall and skinny young man, he joined the army underage in 1913, perhaps hoping that the military would offer him a brighter future. Both he and his brother William are remembered on Datchet’s War Memorial. It can’t have been easy for Albert’s father, William Newens, to support his family on the income he received as a hay and straw binder and the family moved around a lot between Oxfordshire and Buckinghamshire, perhaps in search of work. The birthplaces of Albert and his siblings give an indication of the family’s frequent moves. Albert’s eldest sister, Annie, was born in Benson in 1887. Nellie was born, c1892, in Checkendon. William was born in Wraysbury, Buckinghamshire, in 1894; Albert in Skirmett in 1897. The two youngest children were born in Wraysbury, Robert c1902 and Henry c1904. At the time of the 1901 census, the family was living at Welley Road Cottages, “number 2 from Datchet” in Wraysbury. By 1910, the Newens were living in Datchet but the Slough Eton & Windsor Observer reported on 15 January that they were evicted from their home at 11 Green Lane. The following year they were at 1 Radstock Villas, Datchet Road, Slough, in a house with five rooms including the kitchen. This census recorded that both older boys, William and Albert, were working; William as a domestic gardener, Albert as a farm labourer. At some point during the next few years the family moved to 14a Ditton Road in Datchet. Albert enlisted in Windsor in early 1913, before war broke out. He signed up for six years’ service on 13 January 1913, initially joining the 3rd Battalion of the Royal Berkshires Special Reserves. At his medical in Reading, he gave his age as 17 years 10 months, though he was more likely just 15 years and 10 months. His military records show that he was tall and skinny, 5’9” and just 8 stone 3lbs. He had a chest measurement of 33½ inches expanded, 31” at rest, a pulse rate of 96 beats per minute, four vaccination scars on his left arm from infancy, and his vision was right eye 6/6, left eye 6/9. Albert was posted as Private 9268 to the 1st Battalion of the Princess Charlotte of Wales’s (Royal Berkshire) Regiment. The 1st Battalion was based in Mandora Barracks, Aldershot, at the outbreak of war. They were part of the 6th Brigade in the 2nd Division. The 1st Royal Berkshires embarked for France with the first elements of the British Expeditionary Force, landing at Rouen. Albert was attached to the Machine Gun Section. In 1914 the 2nd Division saw action in The Battle of Mons and the subsequent retreat, The Battle of the Marne, The Battle of the Aisne, the Actions on the Aisne heights and First Battle of Ypres. They went into Divisional reserve on 15 November 1914 and spent the winter months in and out of the trenches. There is some confusion about 18-year-old Albert’s fate. Having survived some nine months at the Front, he was first reported missing on 5 May 1915, a few days before the attack on Aubers Ridge (9 May), but officially he was presumed killed in action at Festubert between 15-17 May 1915 when the Division suffered heavy losses and had to be withdrawn. At the same time, back home a scandal was breaking. It was becoming apparent that the British Expeditionary Force lacked artillery, particularly heavy weapons, high-explosive shells and bombs. On 15 May 1915 The Times published an article based on information provided by an exasperated Commander-in-Chief, Sir John French. The public read that Tommies were losing their lives unnecessarily as a result of the shortages. This proved to be the downfall of Asquith’s Liberal Government. The subsequent formation of a Coalition Government and the appointment of Lloyd George as first Minister of Munitions were important steps towards ultimate victory. The military records show that after his death, Albert’s belongings were returned to his father at 14a Ditton Road. Albert is remembered at Le Touret Memorial, Pas de Calais, France, Panel 30. The Commonwealth War Graves Commission explains: The memorial commemorates over 13,400 British soldiers who were killed in this sector of the Western Front from the beginning of October 1914 to the eve of the Battle of Loos in late September 1915 and who have no known grave. 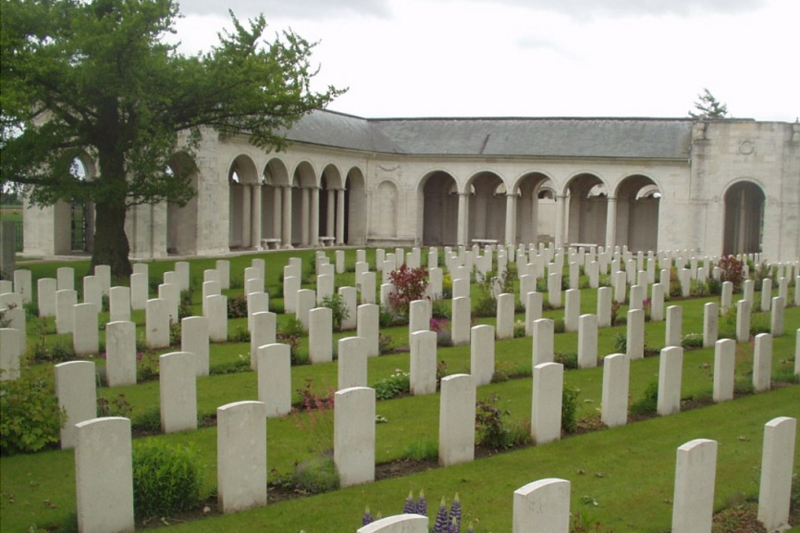 Almost all of the men commemorated on the Memorial were killed in actions that took place along a section of the front line that stretched from Estaires in the north to Grenay in the south. This part of the Western Front was the scene of some of the heaviest fighting of the first year of the war, including the battles of La Bassée (10 October – 2 November 1914), Neuve Chapelle (10 – 12 March 1915), Aubers Ridge (9 – 10 May 1915), and Festubert (15 – 25 May 1915).